This light lash is designed to mold to your eyelashes in such a way that you achieve the most naturally refined eyes. Short base hairs are intermittent with fine, long guard hair that slightly crisscrosses to mimic a natural lash and whisper elegance. All Blackglama Luxury Lashes are made from 100% natural Blackglama certified mink. The band that rests on your eyelid is created from natural cotton, which is supple and flexible, allowing for a more comfortable fit. Blackglama Luxury Lashes create a more natural look than false lashes and are the only brand that use genuine Blackglama mink – the finest mink in the world. 1. Curl your own eyelashes with an eyelash curler. 2. Gently remove the lashes from the container using tweezers if available. Make sure not to pull on the hairs of the lashes. 3. Trim the length of the Blackglama lashes to fit your eyelashes. 4. Place a thin line of eyelash adhesive along the base of the Blackglama lashes. Let the adhesive become slightly tacky before applying. 5. Using your fingers, press and hold the base of the Blackglama lash to your natural eyelash line, starting from the inner corner of your eye and working to the outer corner. If the lashes are too long, remove them from your eyelid and trim them to the desired length before reapplying. 6. Hold the lash firmly in place until they are set. 1. Apply a high quality makeup remover to a cotton swab or cotton ball. 2. Softly press the swab or cotton ball to the base of your eyelash until the adhesive loosens. Gently remove the Blackglama eyelash from your eye from the base. 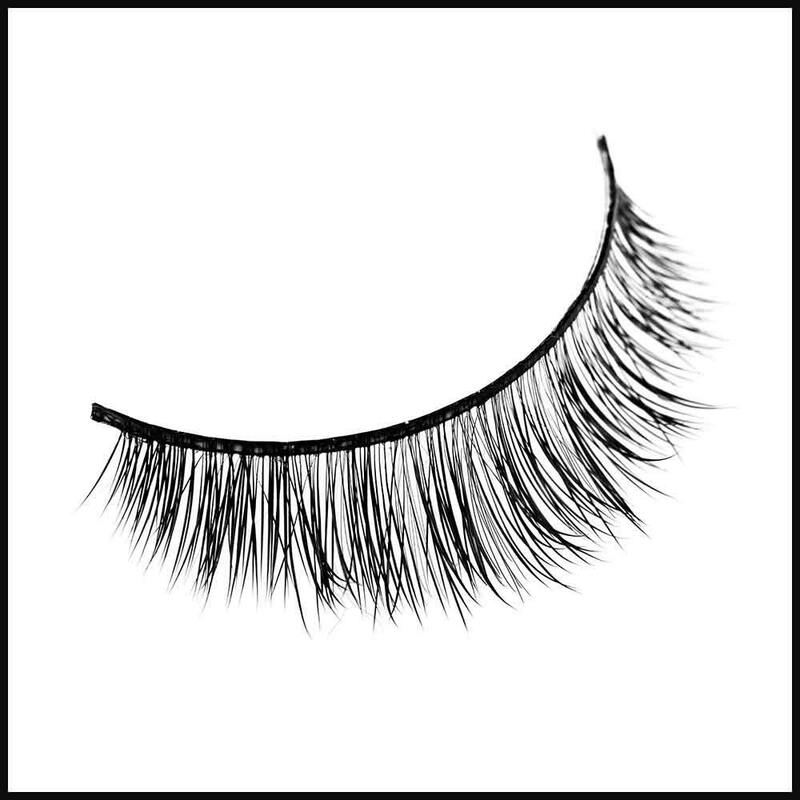 DO NOT PULL THE EYELASH BY THE HAIR TO REMOVE THE BLACKGLAMA LASHES. 1. Using makeup remover and tweezers, gently remove any remaining glue from the Blackglama lashes. 2. Place the Blackglama lashes in the original container to keep their shape. 3. Keep lashes away from moisture and heat to maintain the original shape.